Moving from Kindergarten to Primary school, Lower primary to Upper primary and beyond has always has it’s challenges. The expectation differ as a child progresses from one stage to another. It is never easy adapting to the different standards and being able to meet up to your peers especially if you are in a new environment. The study engine has to be re-started after being on vacations for 6-7 weeks and it does take a while to get back in gear. There are so many new things to learn and with the start of a new school year it can get overwhelming for the child. In this series I will be touching on how I help to bridge the gaps for my kids as they progress from one level to another. It is a big difference for them and they are still adjusting to the new workload and pace of learning. There are different expectations placed on them as they face an accelerated pace of learning. Growth is expected of them both in academic wise and maturity and this has been a struggle for all. As they age and progress up the academic ladder monitoring and guiding them along the way only grows in importance. Childhood is only a small window of time for them to learn and develop skills and abilities which will see them through the rest of their lives. Getting the right foothold is essential for the child to be able to cope with this increase workload and responsibility. As a parent I am trying my best to equip my children with the right shoes to be able to do this. 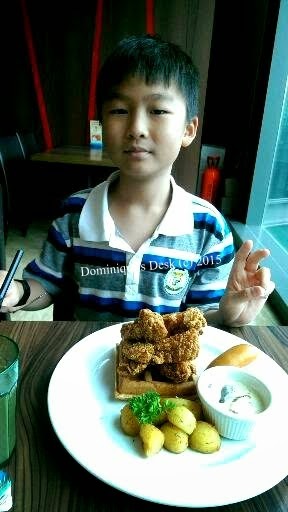 I’ll be kicking on this series with Monkey boy as I share with you what I have been doing with him to get him up to speed now that he is in Primary 5. I will be touching on the challenges that he currently faces and what I have done and will be doing with him to make his transition smoother. Looking forward to your posts about Bridging the Gap in between the school year. Would love to know how you do it :). My son would graduate this month from preschool and I’m a little bit scared when June comes because it will be a big adjustment for us. From 3 hours to 7 hours. Waah! additional 4 hours studying in school and less time to do the homework at home. My son will be finishing his first year in preschool this month. Mommy is planning to continue his study even during vacation thru some activities like math and reading. This is for him not to reduce the momentum of going to school. My son has started highschool this year and also has some trouble bridging the gap. Since I am teaching in the school system, it’s nice to see that there are also parents who are bridging the gap between their children who are studying on the same school. There were also some, who doesn’t bother at all. And I’d conclude that mommies today are smarter in many ways! 🙂 I helped my nephews and niece with their homework from time to time and the load they are studying are sometimes daunting! It truly matters that you are observant and keen in their progress and everything else that transpires in their growth!